A collection of student work produced during the school year of 2010-2011, and the summer of 2011, as part of Voices, Inc., a non-profit documentary arts program for Tucson youth. As the Radio program instructor, I taught a diverse range of kids how to craft quality stories and then recorded and produced the finished product for radio broadcast on community radio station KXCI. 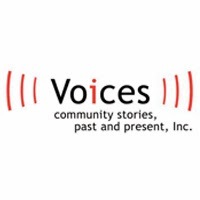 The Voices, Inc. Radioactivism Collection can be found HERE.